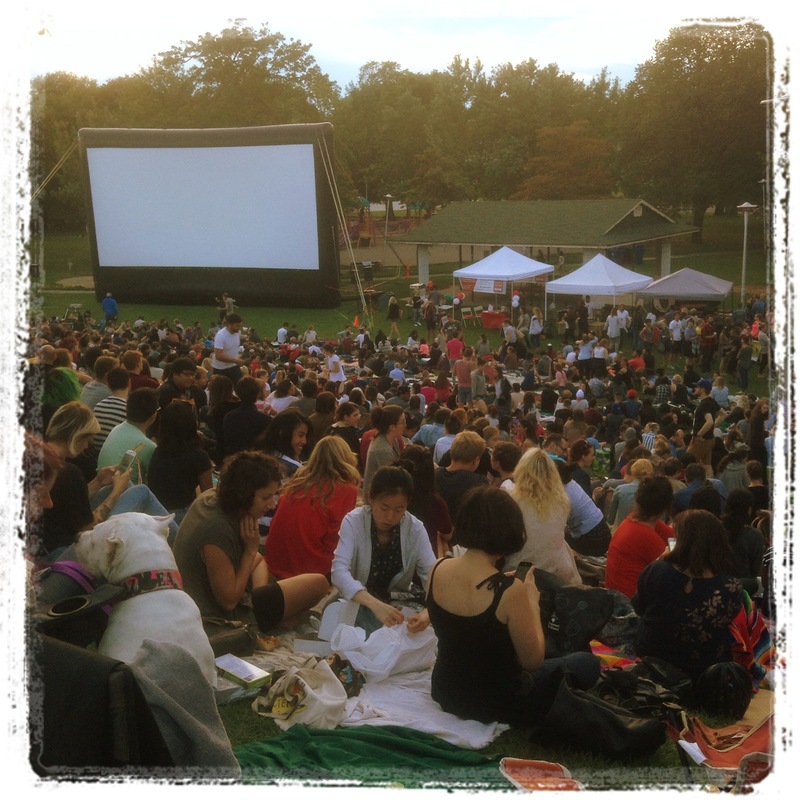 This week I had a chance to pop in at an outdoor film festival. The park was abuzz with people sitting on blankets eating their picnic dinner. The Sunday evening event was the last of this summer and attendance was high in spite of the cooling evening air. This week I am grateful that I live in a place in which free outdoor activities are organised for the community. In addition, the people who do attend can be assured that the experience will be a safe one. Last week Lavender Ladi was greateful for pepper jelly. I enjoy reading what others are grateful for – the posts make me think of other things I am happy to have in my life. Please remember to send me a pingback so that I know you have participated. Definitely! And add the company you are with into the mix. It is a wonderful way for groups of people to spend time doing something together. A great community activity Colline, lovely to see an event that actually does provide entertainment in a communal atmosphere. It often happens here in this city Ian. I enjoy attending events such as these. If you look around, there is an event a person could attend every week. It is a great way to be outdoors during the summer in the city. What a wonderful way to spend the evening..